I could be one of the few Pinoy runners who first registered to this running event which is considered as its fourth edition from the time it was created. 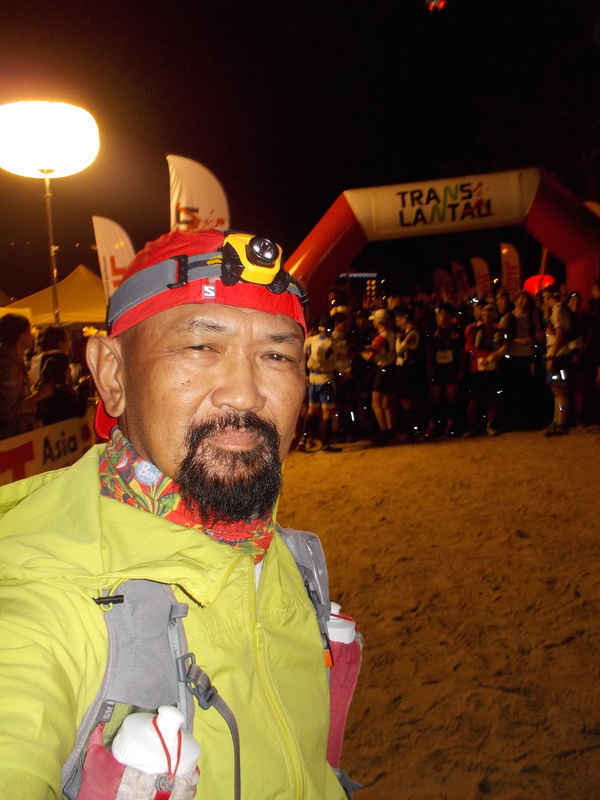 One of the reasons why I decided to register in this race is to test my present state/condition in mountain ultra trail running and validate my training program as I embarked for more mountain trail challenges in the future despite my old age of sixty-two and my thoughts of considering my retirement from running. Looking back from the Trail Book given as gift by my friend US 100-Mile Grand Slammer/200-Miler/Race Director of Hongkong’s 4 Ultra Trail Challenge Andre Blumberg and the regular Facebook posts of running pictures from my friend Lloyd Belcher, who are both residents of Hongkong, I was attracted by the beauty of the island of Lantau, thus, it was a good and appropriate event to actually see the beauty of the island by foot. 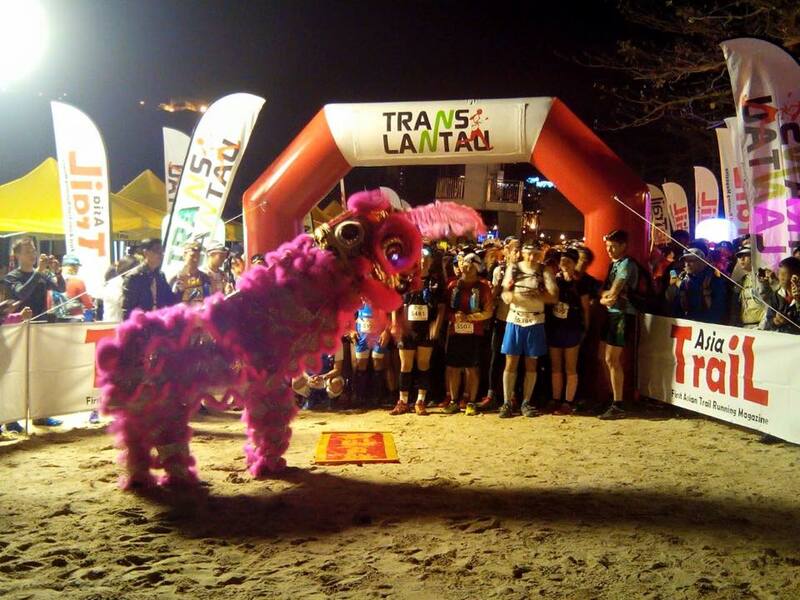 On the first week of December 2014 (yes, last year), I asked my trail running coach that I have the intention of joining the 2015 edition of the TransLantau 100 and he gave me a training schedule/program starting on December 8, 2014 up to March 12, 2015 where my peak/highest mileage for the week was only 54 miles ( 86.4 kilometers). The training program has a duration of three (3) months only. But my ultra coach advised me to train with more elevation gain and look for higher mountains as my “playground”. 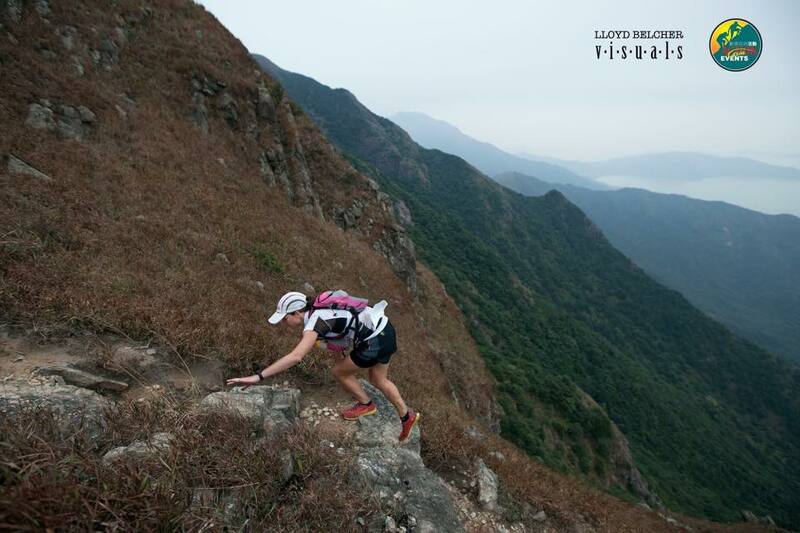 Knowing that the entire course of the Translantau 100 has a total elevation gain of 5,800+ meters or 19,140 feet, I have to look for a specific “playground” where I could “mimic”, at least, the elevation gain in a specific distance that I would like to run in my daily training. With a total elevation gain of 19,140 feet, I should look for a 10K distance that has a total elevation gain of at least, 1,914 feet. Finally, my original playground which I call the “Brown Mountain” offered what I’ve been looking for! For the first 4 miles or 6.4 kilometers of the course, it would give me a total elevation gain of 2,000 feet already! And with lots of rocks and steep ascents and descents! So, I’ve chosen this particular “playground” and this is where I did my training since December 8, 2014!!!! Going up to the peak of the mountain, I would register an elevation of 1,975 feet but the total elevation I would get in order to reach its peak would be 3,000 feet! To complete one-way of my daily runs, I would go up to the mountain and go down on the other side of the mountain and I would register a distance of 7 miles or 11.2 kilometers. To make it more challenging during my weekend’s long runs, I would make a “Yo-Yo” run which is described as running back on the same 7-mile route that I went through (one-way) in order to complete the workout. Simply put, it is a LSD “Mountain Repeat”! My longest long runs in the mountains would be 15-16 miles which is exactly a “Yo-Yo” run with additional one or two miles of uphill climbs on a paved road. It would take me 5-6 hours (which are done during nighttime) to complete my “yo-yo” runs. Each “Yo-Yo” run would register a total elevation gain of 4,200+ feet and it gave me full confidence that my training will prepare me to finish the race. Knowing that the race starts at midnight, almost all my long runs are done during nighttime. My daily running schedule are done in the early morning and in the early evening and tried to observe how my body reacts to the different times of the day. On hindsight, I realized that I was doing Back2Back2Back2Back2Back (5X) on my “peak training week”, from Thursday up to Monday, where the total mileage would be the whole distance of the race event. These “Back2Back” runs were very easy on my body as my workouts were done in the same “playground” with lots of combination on how to run through the mountains. This is where I studied and observed my Average Speed and improved my hiking strength. I have to train also with my hydration and nutrition intake. I made sure that I would be able to consume my two bottles of Simple Hydration within a distance of 10 kilometers or 6.2 miles. I had to take in some solid foods in my long runs and test on how my body would react when I don’t take any foods except water within the distance of 10 miles. Entirely within my training period, I did not take any pain-reliever medications, Gatorade, salts, and liquid food supplement. I only take Ensure drinks and Whey Protein mix after my workouts as my recovery drinks. However, I would have my daily massage, courtesy of my training partner, Dannin before going to bed. Different brands and flavors of Sports Gels had been tried and I knew what to use depending on what time during the run or what distance I was going to run. It was just a matter where I would stash each brand of Sports Gel in my running shorts’ pockets, on my race belt, and on my hydration vest’s pockets so that I will be efficient in using them along the course during the race. My running apparel would be the same——Patagonia Shorts; a base layer shirt; PAU Long- Sleeved shirt; Salamon Shoes; UD’s AK Race Vest with two Simple Hydration bottles; Uniqlo Windbreaker; and a light Uniqlo Down Jacket tightly packed inside my Back Pocket of my Hydration Vest. With 600+ runners in the 100K category, my Race Strategy was to simply “follow the runner in front” of me, making sure that I was maintaining my training’s Average Speed (2.5 to 3 miles per hour), maintain a “buffer time” from the cut-off time in every Check Point, and Finish the Race (with a Smile!) within the cut-off time of 32 hours! 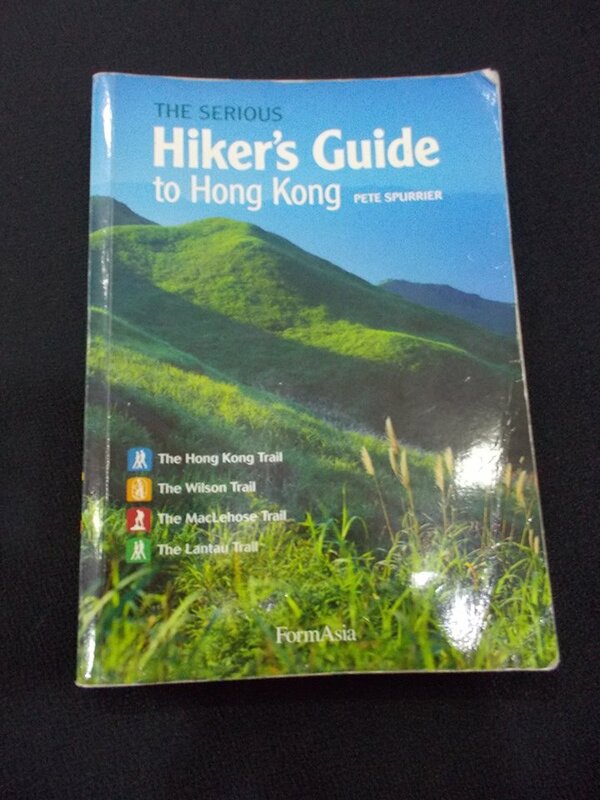 With the knowledge of what to expect on the trails of Hongkong through a brief “walk-through” on sections of the McLehose and Wilson Trails with Andre Blumberg and by reading the book that Andre gave me (four years ago) which depicts/describes the Four Famous Hongkong Trails, I would expect a lot of rocks prepositioned on the trail to act as stairs in climbing to the peak of the mountains; some portions to be paved; and lots of single-track paved or hardened earth trails. 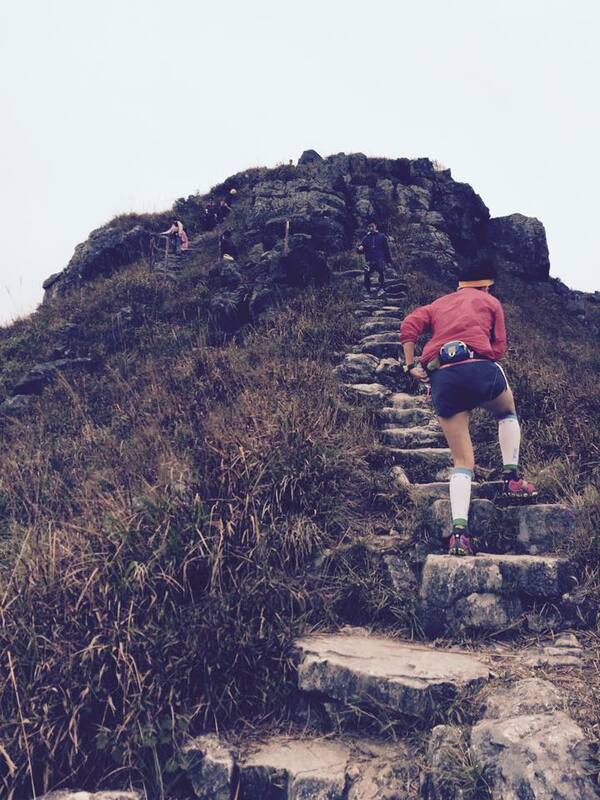 Practically and realistically, I was prepared to run through the “rock-stairs” of the Hongkong Trails! My mantra for the race would be “Easy on the Climbs and Easier on the Descents” in order to preserve my knees and my legs up to the Finish Line! There was no point or intention of using my trekking poles during the race as I trained for this race without them. 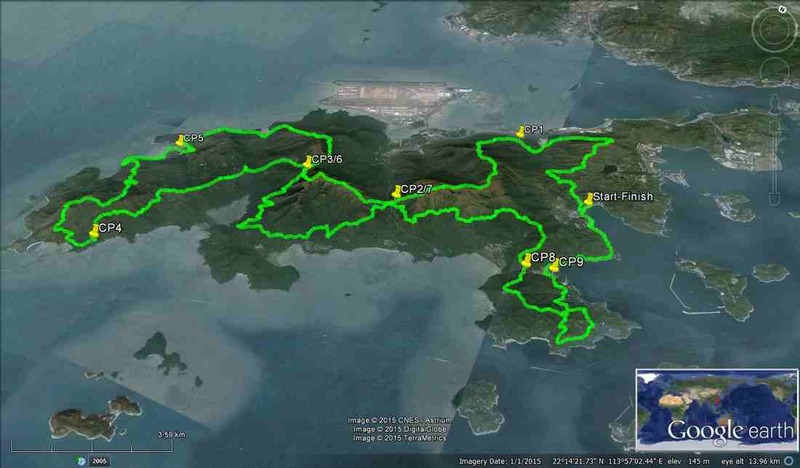 Strategically, Translantau 100 was just a “test” on myself for a “bigger” mountain trail adventure in the next few months. It is my way of strictly following my “Three-Two” Rule in running through the rest of my life. Simply put, train and finish “Three Important Races in Every Two Years”. 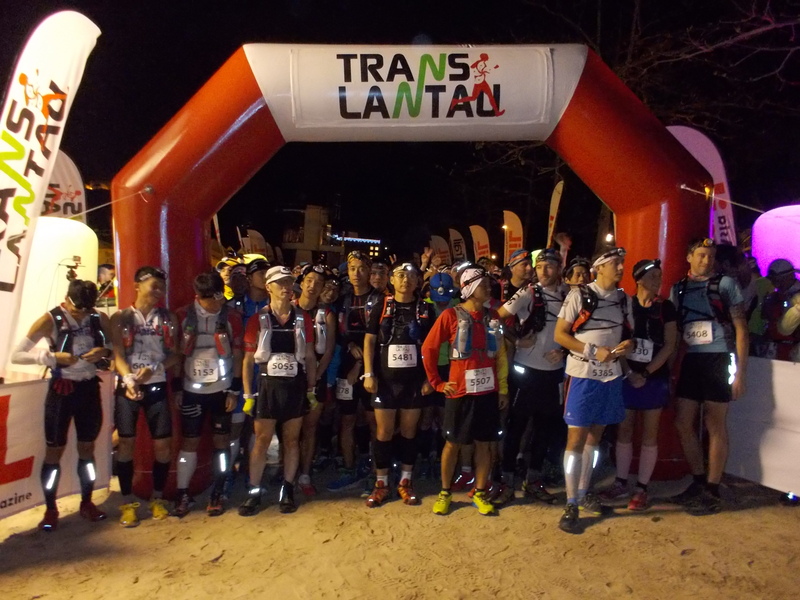 All the other running events that I would join and finish are just considered as part of the training for these important mountain trail events. Eat a Full Meal Before The Race; Drink My Vespa; Intake of One Sports Gel every hour; consume my water in my two Simple Hydration bottles in-between Check Points; eat solid foods in the Aid Stations; and remember to take Ginger Chews/Candies on those hard climbs! I have to emphasize to follow strictly my food intake procedure which I adopted and applied during my training—-there is a need to stop in order to eat a full meal and NOT eat while on the move. Except when taking in Sport Gels and drinking my water where I have perfected this one while on the move. In the past, I had a problem in “eating solid foods on the move” and I always end up choking and coughing. I’ve learned from this mistake and I made sure to eat my solid foods while on STOP in the Aid Stations. These arrangements are also important to consider if you travel abroad to join running events…and they are NOT cheap! But with the advent of the Internet, everything is already arranged through On Line and the transportation system in Hongkong is very efficient. Depending on your budget, you can choose your accommodation and places where to eat in Hongkong. Buy an “Octopus Card” at the Airport and you can have a lot of options on how to travel from Point A to Point B, just read the map that is FREE and available at the Airport, and if you are in doubt, ask someone for directions. If you are in a hurry, just take a TAXI and show the driver your destination (in Chinese characters/writing) and he will take you there fast and safe! This kind of “drill” is almost THE SAME if you travel abroad for a running event——everything you need to know about the country is available at the Airport. As compared to Manila, a visitor is prepared to be “duped” by a TAXI Driver once he/she gets out of the Airport. And that is just a start of a series of frustrations. If you are a Pinoy runner reading this blog, you would know what I mean. Lantau is the largest island in Hongkong and it can be reached by ferry/boat, bus, TAXI, and railway from Hongkong or Kowloon. It has a lot of fishing villages, some beaches, and lots of mountains and vegetation. This is where the famous Disneyworld Hongkong, Tallest/Biggest Buddha, and the New Hongkong Airport are located. As suggested by the Race Organizer, I would take the Ferry Ride from Pier 6 at the CENTRAL Station to Mui Wo in Lantau, where the Silver Mine Beach Resort/Hotel/Park is located. The ride would take at least 40 minutes and then from the Lantau Pier, one has to simply walk to the Silver Mine Beach where a Hotel is located. There is a Park and a Toilet Facility which is FREE for everybody. I was 2.5 hours ahead of schedule when I arrived at the Starting Area and I just observed the other runners coming in while seated on one of the concrete benches. Jeri Chua, a famous ultra trail runner from Singapore, approached me at the Pier 6 waiting area and introduced herself. She would advise me to just take it easy on the race on the first half as the race progresses with lots of steep mountain trails on the ascents and descents until the last 5 kilometers. She emphasized on the words “take it easy”. Her advise would be etched in my mind throughout the race and it was the best advise from an expert. Prior to the start of the race, one of the Chinese runners called my attention and asked me if I am the Bald Runner. After answering him positively, he asked me to have a “selfie” shot with him using his Samsung Note Cellphone. Wow!!! I am a popular figure here in Hongkong! Ha! Ha! Ha! There are no unnecessary announcements from the Race Director or any of the Race Marshals. Runners simply went inside the Starting Area Chute behind the Start Arc and waited for the Race to Start. I took time to take some pictures of the runners at the front and at the same time took some “selfie” shots. Five minutes before the start of the race, I went inside the chute and pre-positioned myself in the middle part of the long queue of runners from the Arc up to the back. Then there was this performance of Dragon Dance with the accompanying Drums and Cymbals in front of the Arc and after the said dance, the Race started on time at exactly 11:30 PM of Friday. And we were off running along the beach. After about 100 meters, we left the beach by running U-turn along a paved single-track road fronting the Hotel towards the populated area of the Mui Wo Village. After one kilometer of flat paved road, the course started to ascend and up we go to the mountains. I started almost behind the pack with I think about 20-30 runners behind me. I maintained a very slow pace with some walking in-between as we approached the populated area Mui Wo. 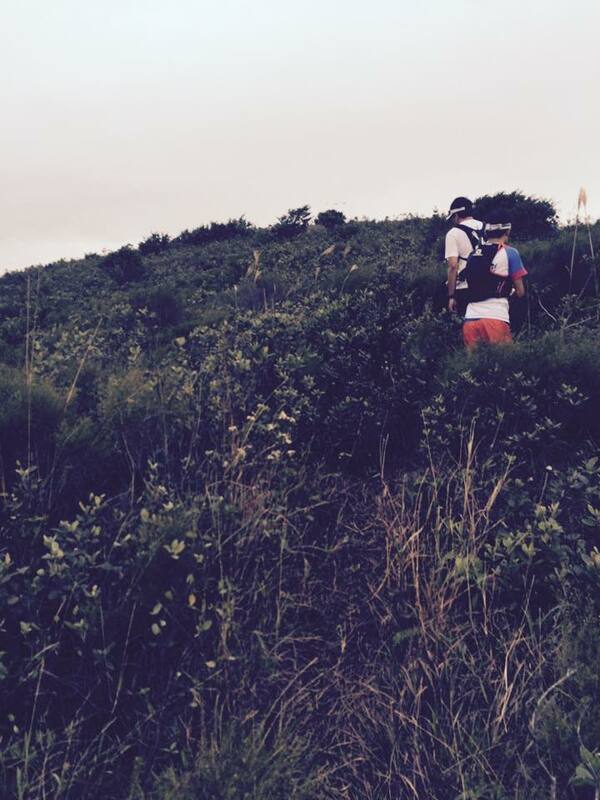 I started to see runners going up in front of me as we started to tackle the first mountain in the race. I could see far from me that the lead runners are already about to approach the peak of the first mountain peak. However, I have to keep calm and tried to monitor the numbers that are registered in my Garmin Forerunner. I really wanted to have an average speed on this course, from Start to Checkpoint #1 to be more or less to 3.5 miles to 4.00 miles per hour, thinking that the trail is not too technical and narrow. After 2-3 kilometers, the pace started to be slower as the runners would be lined up going up the mountain in a single-track trail. All the runners were already hiking and more are patiently walking just to be able to progress towards the peak of the mountain. I could not believe what my eyes were seeing, long lines of runners snaking through the peak of the mountain as seen by their headlights/hand-held flashlights. The single-track trail and the steepness of the mountain prevented the runners to jog or run through this part of the course. It would be a crazy idea to jog or run on the ascending trails as early as the first hours of the race. After hiking for about an hour, I thought to have reached a peak but to my dismay, there is another higher peak on the horizon. Darkness in the night had made me a fool and after reaching a flat surface, there is another peak that could be seen with runners approaching it. At the Km #6+, the single file of runners in front of me just immediately stopped. There seems to be a traffic on a steep descent where it immediately followed with another steep ascent. Some of the runners had lost their footing and they had to land on their butts and I was there next to them and patiently waiting for them to stand up. 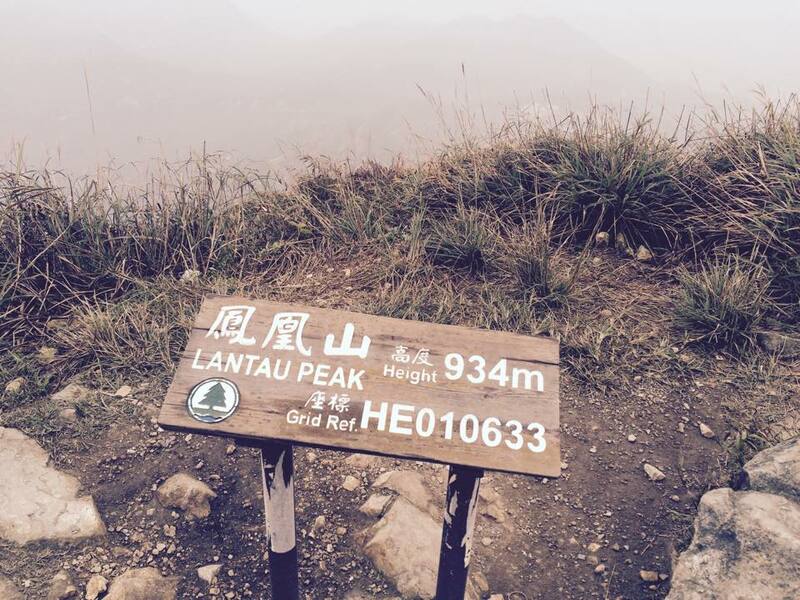 Finally, I reached the peak of Lo Fu Tau which has an elevation of 465 meters or 1,534.5 feet. It became colder and windy as we go higher in elevation and I was protected by Uniqlo’s Windbreaker. From the peak, there is only one way to go but to go downhill. As they say, what goes up must come down. This is where those Rock Stairs started to come out and the challenge on my legs and old knees were starting to take its beating. But before those “rock stairs”, there is a single spot where it is too steep that there are two points where one has to rappel from the rope down to the steep descent. The Marshal has to give you two options——rope on the regular steep descent or to the steeper one. I chose the regular steep descent but when I tried to get over the rope, the rope scraped on my headlight and it completely removed from my head. My headlight dropped to one of steep recesses of the rocks on the side of the mountain and the runner ahead of me had to pick it up and handed to me. I would say thank you to the guy who is I think 2 times younger than me. My hiking continues on those steep descent until I reached the First Check point of the course in Pak Mong. There is no way to squeeze in 600+ runners in a single-track with lots of bushes on the sides and a very steep descent. It was unfortunate that the runner in front of me kept on falling on his buttocks on this descending 6 kilometers. The first section, from Start to Pak Mong, covers a distance of 12 kilometers——6 kilometers of ascent and another 6 kilometers of descent with lots of “waiting” moments because of the traffic of runners on the descending parts. 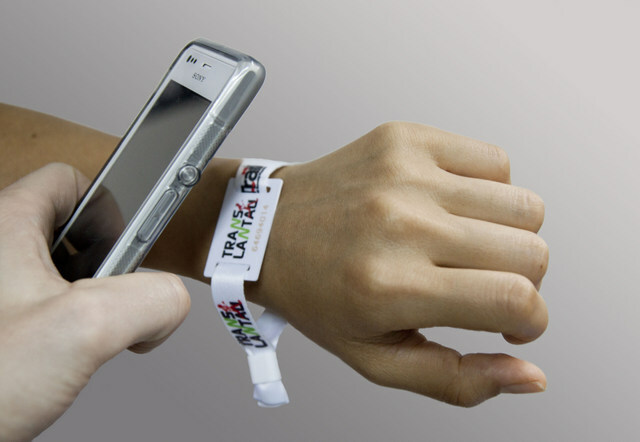 Before reaching the Aid Station, I had my Racematix Timing Wrist Band checked by one of the Marshals. My split time was 2:34:44 hours and placed #420. I took two slices of banana and some slices of orange and refilled my two bottles of Simple Hydration and then left the Check Point. The section distance is 9 kilometers but one has to tackle first to the Sunset Peak which has an elevation of 854 meters or 2,818 feet! One has to reach Checkpoint #2 at 7:30 AM which is 8 hours! From the Start to Checkpoint #2 (Pak Kung Au), a distance of 21 kilometers has a cut-off time of 8 hours? It gave me the impression that the climb to Sunset Peak will be a hard and steep one and this is the time that I have to prove it. The problem in running the 100K category is that you are not seeing your surroundings as it is still dark on the first 5-6 hours. The only things that you can see are the lights of the runners in front of you; the reflectorized strips of the runners’ apparel/shoes directly in front of you; and the few feet or meters ahead on the trail you are stepping on where your headlight can illuminate it. So, climbing the Sunset Peak was too insignificant as I kept lifting my legs and feet on those “rock stairs” and hardened trail. What was significant for me was the fact that I was passing a lot of runners on my way up to the peak of the mountain. 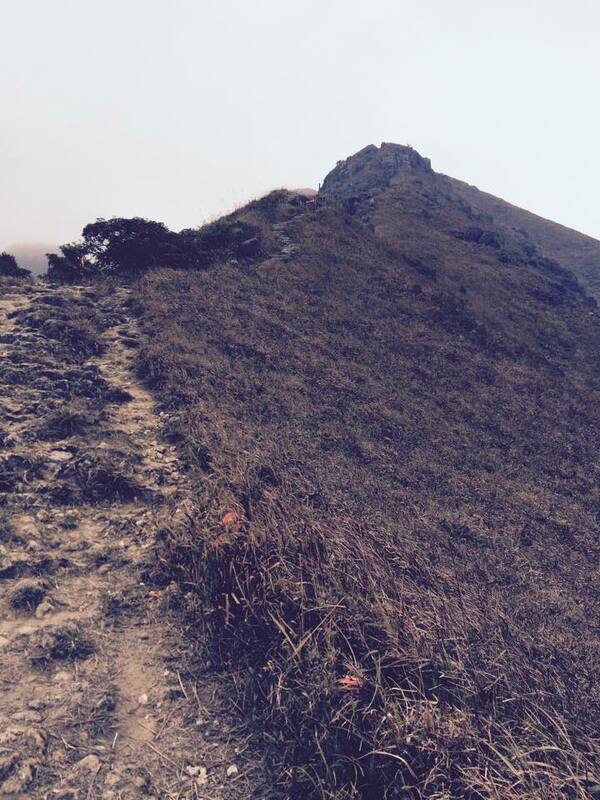 I did a lot of hiking on these ascending steep trails and focused on my nutrition and hydration. I would take at least one Sports Gel every hour and my energy was transmitted to a non-stop action on my legs! Sometimes, I would jog on the flat parts of the route and made progress on the distance I was covering. I arrived at Checkpoint #2 (Km #21) without any problems. I had my time checked and immediately had my water bottles refilled. I started eating PB & J sandwiches and oranges in this Checkpoint’s Aid Station. I think I was ahead of the cut-off time by almost 4.5 hours at this point. Looking at the my notes, I would see that the first half of this section is downhill and the second half will be another uphill climb. I took advantage to run and jog on the first half and I was already alone running on the trail without anybody that I could see in front and behind me. 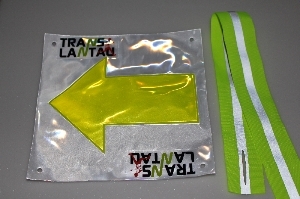 The Lantau Trail markings are seen on my right side and from time to time, in varied places/distances, I would also see the reflectorized ribbon for the race route. I would be able to catch up with the faster runners on my way up to the mountains as I’ve observed that most of the average Chinese/Hongkong locals could hardly climb steep inclines without using their trekking poles. I have observed also that they are half younger than my age and I could hardly see among them a runner that is the same age as mine! Another glaring observation among the Hongkong locals is that they don’t mind if there is a faster runner behind them as they continue with their pace without even having the courtesy of asking the runner behind if he/she wants to pass. So, what I did was to shout “On Your Left” or “On Your Right” just to give them a warning that I am going to pass them. I am glad most of them understands English but there are others who would talk to me in their dialect thinking that I am one of the locals. Because of the darkness and fogs on the mountains, some of them would be lost and ask for directions. Some ask for directions from me and I have to answer them that it was first time to run through the course. At one point, I was leading a group of 5 runners but I took a wrong turn due to thick fogs and I’ve realized I made a mistake after a few steps. After that, I did no longer had the courage to lead other runners. I could see that the locals are very competitive in the race and they are fast hikers/walkers whether on flat and downhill runs. They could be weak on the uphill climbs on those “rock steps/stairs” but they are daring and fast runners on those descending ones. I have the conclusion that they are very familiar and used to the trails in the island as most of their past trail running events are done in the island. 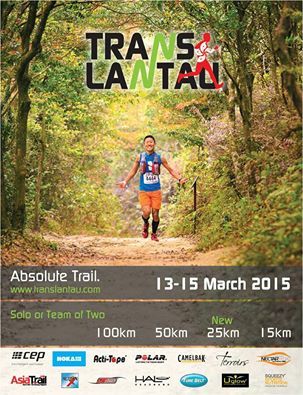 I got an information that Raidlight had been regularly sponsoring trail running events in Lantau. And there are other shorter trail running events that are done in the said island. As for me, I was focused to finish one section at a time within the cut-off time and finish the course. Take my Nutrition/Food in every Aid Station and enjoy the scenery of the island. The Ngong Ping Checkpoint/Aid Station is a crossroad where the 100K runners would pass for two times. As my time was checked through my Wrist Strap, the Marshal did a random check-up on the mandatory items to be carried. She asked me if I have a cellphone and I showed him my iPhone tucked inside one of the zippered pouched of the UD Race Belt. At the Starting Line (before the race started) one of the Lady Marshals approached me and checked on the mandatory equipment. She asked where I pinned my Race Bib as it was covered with my Uniqlo Windbreaker. 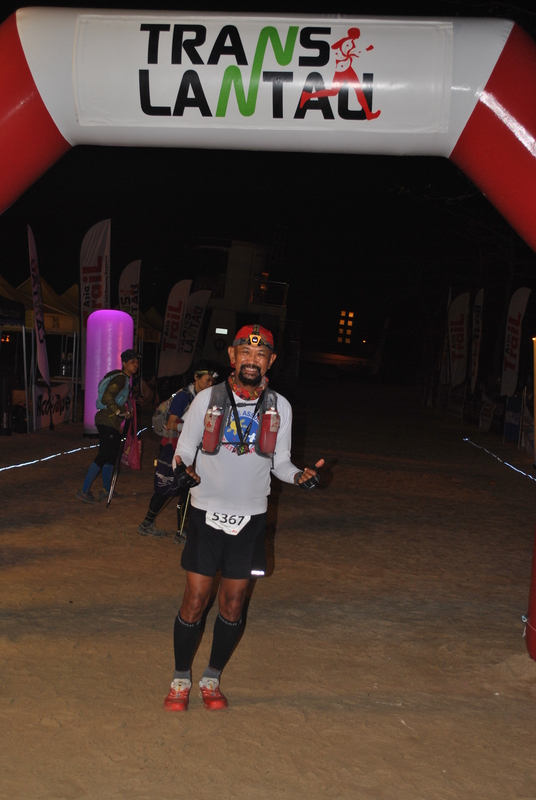 During the race, these were the instances that I was asked and challenged about the mandatory equipment in my pack. How I wished another Marshal (in another Checkpoint) should have asked me if I have a bandage and a “space blanket” which I have both in my pack. I ate a lot of food in this Aid Station (hot noodles, cold cuts/salami, PB &J sandwiches and oranges) and after 5-6 minutes, I was off and back to the race! 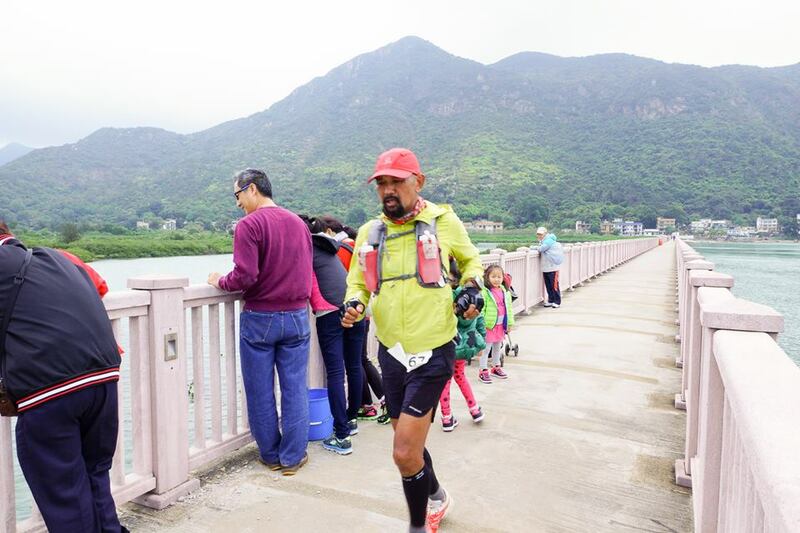 From the Aid Station of Ngong Ping, the road is paved/cemented that every runner should run on the shoulder/sidewalk. The road is a winding downhill for about 3-4 kilometers and I was in the company of local runners and European/American runners. We had to cross the paved road depending on how we would be able to shave some distance and be able to cut corners to avoid the winding road. We practically followed a straight path on this winding road. 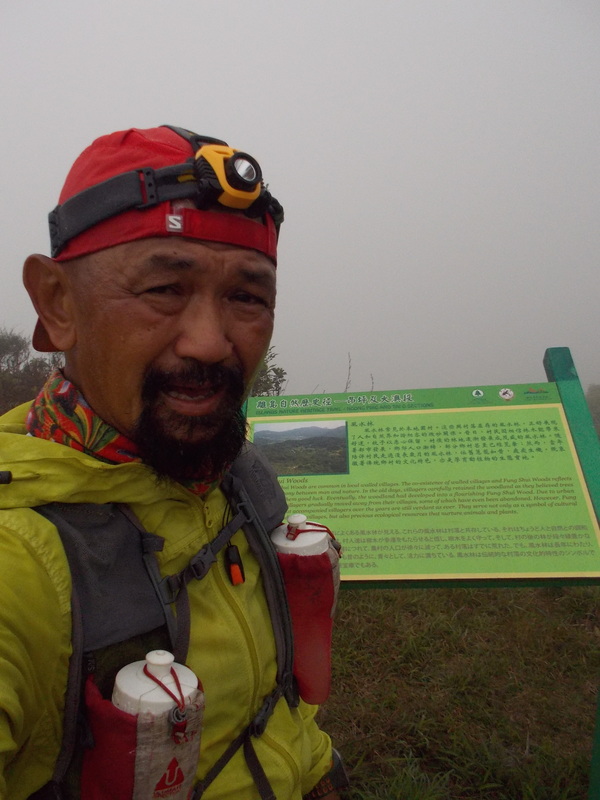 I was able run at a faster pace due to its descending nature and in a relaxed manner but I was sure that on the bottom of this road, we will start an uphill climb to the next mountain peak which is the Keung Shan (454 meters in elevation or 1,498 feet). I passed two runners on this section before we started our climb to the next mountain. 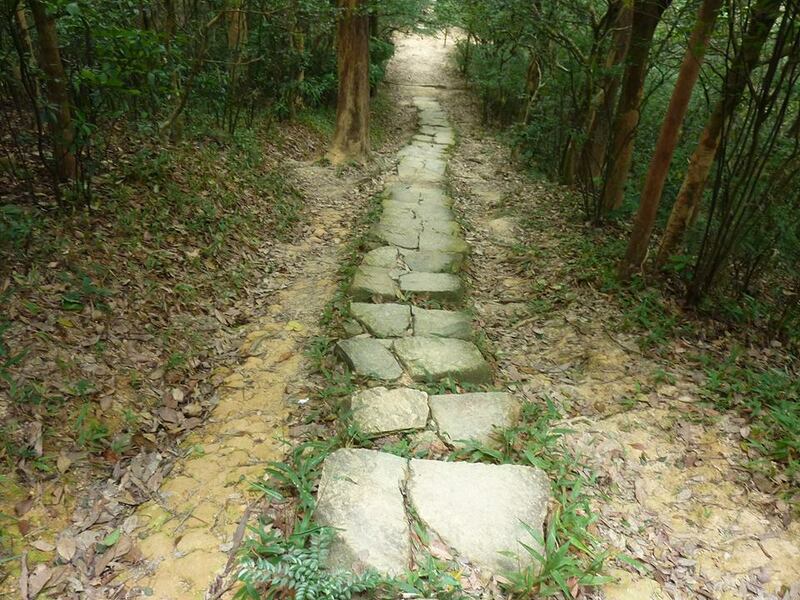 The climb to Keung Shan started in a park and the effort to cover this section was insignificant as the same “rock stairs” would be the nature of the trail. While the other runners are busy using their trekking poles, I was consistently and easily forcing mg legs and knees to propel me from one stair to another higher one. As usual, I have to count the number of steps that I would take in climbing such mountain in order to break the monotony. Once I reached the peak, it was time again to go down and I was running along a concrete canal which is very wide and deep. Such structure on the side of the road would the drainage or water passageway of water rushing from the peak of the mountain during the rainy season. In my estimate, the concrete canal is 12 feet deep and 6 feet wide. There are places along the canal where there is no barrier from the road and I made sure to run on the left side of the road, farther from the canal, for safety purposes. If someone becomes dizzy along this road on the edge of the canal, there is a possibility that one would fall down to the canal. The people in Hongkong call these canals as water “catchways”. After almost 2.5 hours of running along this section, we reached the Aid Station which was manned by four (4) ladies to include the Timing/Checkpoint Marshal. I was already at Km #44 and I was 4 hours ahead of the cut-off time. It was time to eat some more! Knowing that the ladies have the facial features of Pinoys, I jokingly cursed in Ilocano dialect and one of the ladies laughed! They then started the conversation by telling me that 3 other Pinoy runners had just passed their location. I told them that I don’t have the intention of catching them because they are fast and younger runners compared with me. The other 3 ladies are from the Visayas and I started to talk to them in Tagalog. I think stayed in this Aid Station for 4-5 minutes eating my favorite PB &J sandwiches (runner has to make his own) and slices of oranges. I think I repeatedly ate these foods for 3-4 times while talking to the Pinoy ladies. When I checked on my notes, one of the local runners started a conversation in their dialect but I explained that I can’t understand what he was saying. The runner could be in his early 30s and he was using a Vibram Five-Finger Minimalist Shoes. He asked me if I am on my schedule and I said “yes, more than the enough time that I need to reach in each Check Point” and he said “you are good”. I replied him, “I am trying to be good for my age at 62!”. 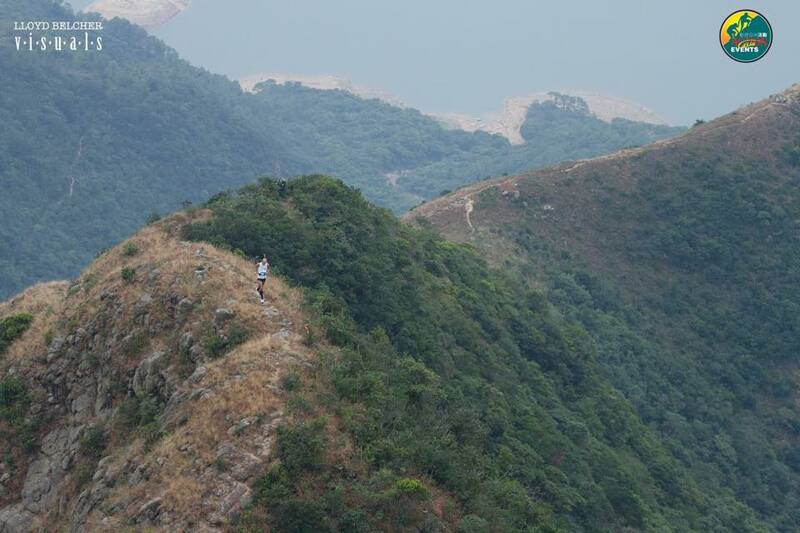 One of the guys who have heard my reply said, “How I wish I could be doing this Lantau 100 when I reach your age”. I just smiled at the two local runners. After refilling my water bottles, I asked these two gentlemen and the four Pinay ladies for me to get ahead and proceed to the next Checkpoint. After running for about 1-2 kilometers of paved road along the drainage canal, it was time again to go up to the mountain. I would estimate the next mountain to be a little higher than Keung Shan. 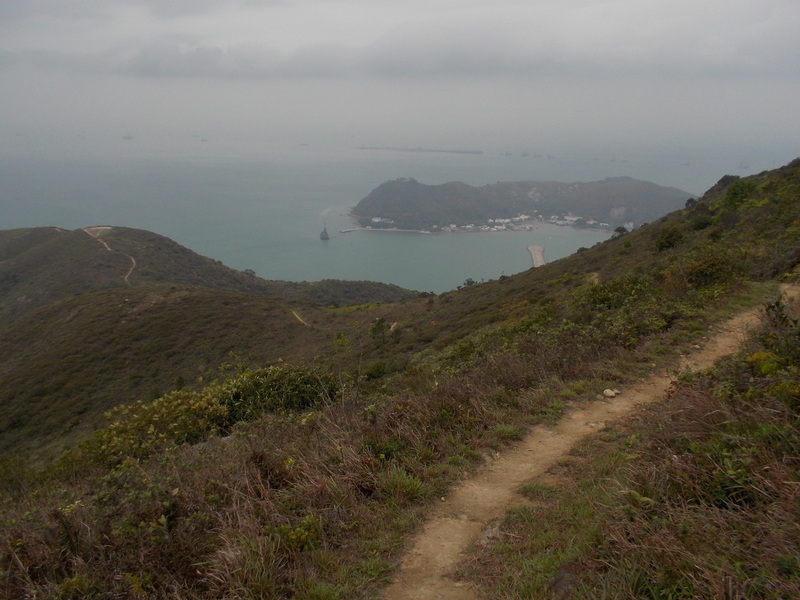 Its peak’s assault was very steep but once I reached the peak, I could see a beautiful scenery overlooking the village of Tai O and the sea. Tai O was the traditional capital of the island until it was overtaken by the infrastructural developments of Mui Wo (Starting Area). The village of Tai O is seen as very near, yet very far on foot! I’ve tried to jog and run the descending portions and flat portions as the trail is made of hardened earth and some are flats rocks but the last half of the descending portion towards the foot of the mountain has “rock stairs” that are constructed very steep. The winding “rock stairs” ended in a paved road of about one meter wide which forms part as the circumferential trail of the island. I turned right and followed the paved trail with a big pipe on the right side which I believe to be a water pipe that connects the water reservoir to the village. After 2 kilometers or so, I turned left towards a pedestrian cemented bridge that leads to the center of the village that crosses a combination of swamp planted with mangroves and the rocky shores of the island. The village is big and have lots of buildings and wide roads but I could not see much of the people living thereat to include vehicles. The ribbons and directional signs brought me to a school and the Aid Station was set-up inside the school’s gymnasium. Since it was already noon time, I decided to have a full meal and just have some rest and stay in the Aid Station for about 15-20 minutes. I was hoping that I would be able to wait for the other Pinoy runners to arrive or somebody whom I know personally. But before I entered the school premises, I asked the young Time Checker boy, who I presumed to be one of the students of the school, what was my place/ranking among the runners. He checked on his electronic gadget/reader and told me that I am Runner #362. I was happy to be in this position among the other runners presuming that the total of runners would be 600+. Tai O is at Km #56 and I was still four hours ahead of the cut-off time. I was feeling strong but I need to eat and stretch my legs. My full meal consisted of chicken noodle soup mixed with thin slices of salami; PB &J sandwiches, French Bread, Crackers, Tea, and Oranges. After my full meal and a drink of Hot Tea, I was ready to leave the Aid Station. I left the center of the village through foot bridges on the shore and swamp of the island and had a chance to walk through the village huts which are made of aluminum walls. I was following an American (white) runner in his early 30s who was wearing black tights and compression long-sleeved shirt. He was just walking and I was behind him walking, too! I really enjoyed walking on the circumferential trail of the island that leads to the village of Tai O. There are lots of hikers that I would meet along the way and they are surprised to see us. I tried to run along this paved road which is about one meter wide but I decided to just walk and enjoy the scenery of the sea and the coast. I would enjoy watching the construction being done along the sea which I think would be a bridge that connects the New Hongkong Airport to an island which seems to be a resort or park with white sand. However, after walking for two kilometers, I said to myself, “Houston, we have a problem!” I need to pee! But the trail is abundant with people who would be coming in front of me as they are going back to the village after their hiking exercises. I could not see any place at the side of the paved trail where I can just pee as there are no covers to speak of. What I did was to run farther in front and looked for a curve where I could see visibly the people who would be approaching such curve before they reach my position. When I was able to locate a place and not seeing any person approaching such curved section of the trail, I just dropped the front part of my running shorts and “let it go”! I could see in the color of my urine that I was not dehydrated but the volume of fluid coming out is more than what I’ve expected. To my surprise, when I was about to leave my position, there was this local runner who was in all-Salomon black apparel getting nearer to me. I looked at his face and he just smiled. He was a faster walker than me and I followed him along the paved trail. After about 400 meters, the local runner went inside a Portalet that was located on the left side of the road which is near a populated area. I said to myself…Ooppss! I am sorry, man! I can no longer control the pain!!! I am glad I walked from the village of Tai O for the next 4-5 kilometers. After such distance, ribbon indicators would direct the runners to veer a sudden right turn towards a single track trail which is full of bushes. 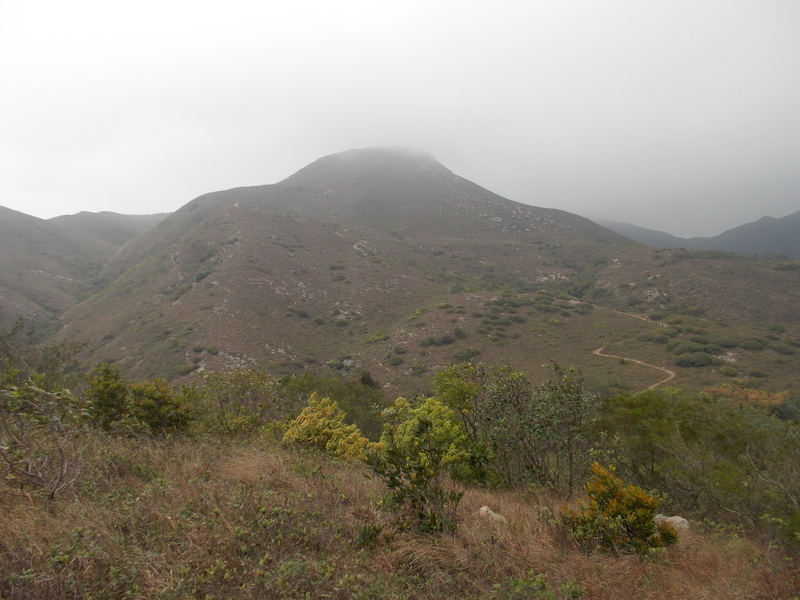 And once I looked up, I saw a thick vegetated slope of a mountain where the trail is leading to. It is again a “bushwacking” episode for all the runners just like the first 10 kilometers of the course. Ahead of me on the slope were the runners who passed me on the circumferential paved road from Tai O who were partially covered by the bushes on the side of the trail. I could see that they are very slow in their progress to reach the peak of the mountain. I need to take a deep breath and start my mantra again of counting every step I made as I go up to the peak of the mountain. I could no longer recall how much time did I spend on this steep uphill portion of the mountain. Without the aid of the trekking poles, I had to grab every branch of bushes and trunks of small trees along the sides of the trail and made them as my “climbing ropes”. My GIRO Cycling Gloves were very useful in this part of the course as I could easily grab and hold on on such twigs and branches of those small trees and bushes on the sides of the trail. Once I reached a small flat portion, I would rest for a few seconds and then proceed again with my ritual of counting the number of steps as I go up to the slope. When somebody had to be fast to reach my position, I would make a signal for them to pass me but all of them had to decline and signal their hands for me to proceed. On this part, I was able to pass at least 3 runners and one of them is the American runner who was way ahead of me before reaching the slope. From this place, one could see the New Hongkong Airport full of departing airplanes on queue on the runway before take-off and the sound of their engines’ full thrust could be heard loudly on the mountain slope. While resting, I would entertain myself by watching those airplanes taking-off from the runway. 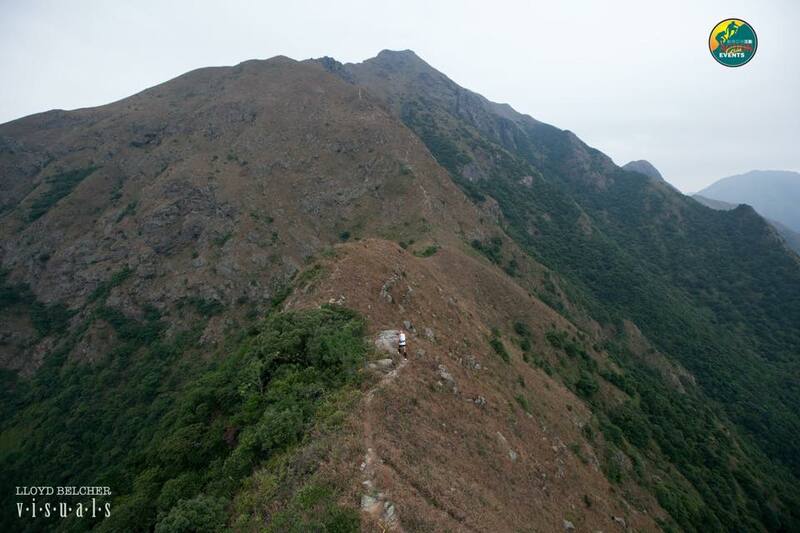 I found it later that this very steep single-track and full of bushes trail is called the Shek Pik Trail. I will not forget the name of this trail. Most of the local runners whom I spoke during the ascent had only word to say about this trail, it is the word, “Terrible”! We are going on full circle on this one but on the different sides of the island and different scenery and challenges. 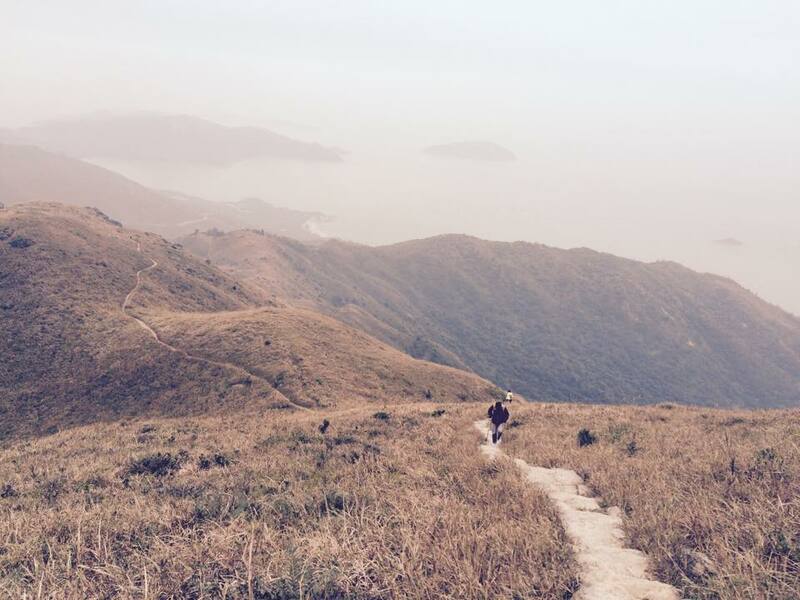 So far, I have just finished 68 kilometers and the hardest or highest peak is not yet reached——the Lantau Peak, the second highest peak in the Hongkong Area, which 934 meters in elevation or 3,082 feet. I took time to eat the same stuff at the Aid Station——Hot Noodles with Slices of Salami; Slices of Oranges; Cups of Ice Cold Coke; and Boiled Potatoes. 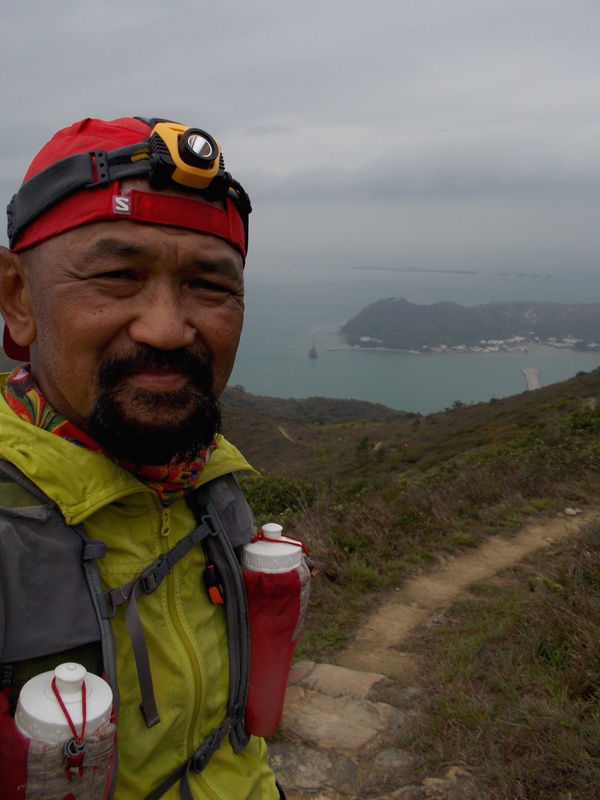 While eating, I had a chance to talk to one of the local runners whom I signaled to pass me on the steep Shek Pik trail and he was telling me that this course is the hardest 100K trail race in Hongkong and he promised that he would not dare to repeat this race in order to improve his time. Another local runner in Salomon apparel seated beside me and repeatedly telling me that the course is “terrible”. After I’ve finished eating, it was time to move on. The first few meters of the trail as I left the Ngong Ping is flat and wide but after about 200 meters, the “rock stairs” would appear again and I knew that this is now the start of a very steep and winding trail to the summit/Lantau Peak. I was following a couple of runners but once they reached the “rock stairs”, they simply walked their way up with their trekking poles. I tried to follow their pace but I had to take some brief stop every time I would step on 20 successive steps/stairs. I briefly stopped in one of the benches on the side of the trail to bring out my headlight as the night was coming and the fogs was becoming thicker as I went higher in elevation. I was passed by some runners who were with their trekking poles but I patiently kept following them using my hands and arms as support to my knees. As I was nearing the peak, the wind blow harder and I could hardly see the ground due to thick fogs plus the fact that it was drizzling, making the “rock stairs” very slippery to some of the trail shoes. Finally, I would see the steel chain that is placed on the edge of the trail where one could hold on while going up to the assault part of the peak. More steel chain on the trail up to the peak as I moved higher until a Race Marshal approached me and advised me to start taking the descending trail and proceed to the next Checkpoint. He told me that there is no need for a Time Check. 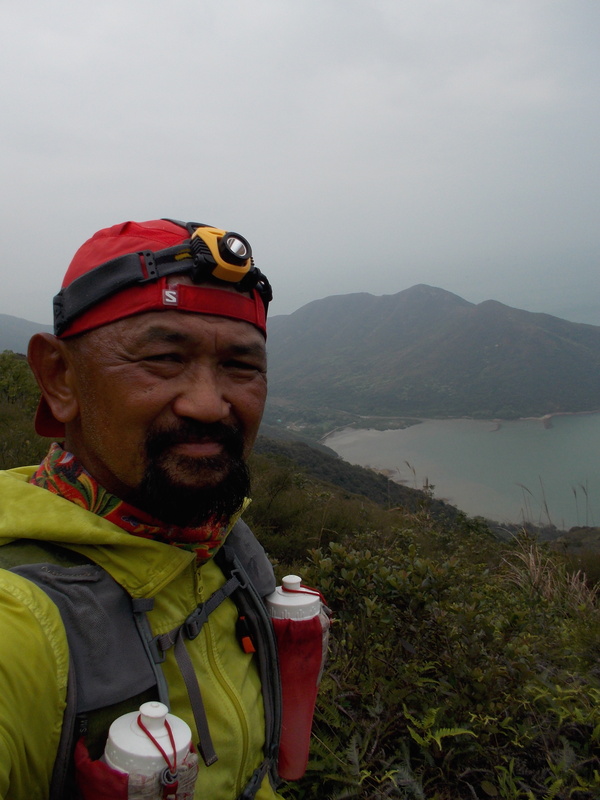 I said to myself that I would be able to finish the race earlier than what I planned for, knowing that every thing will be going down from the highest point of Lantau Peak. However, I was wrong! I was not too confident to move at a faster pace in going down due to the slippery trail/“rock stairs” and thick fogs. I felt that I was not making a progress on my faster pace. I was alone on the trail on my descent but I would be passed by some of the local runners who are very fast in going down even if the trail was slippery. Finally, I was back on the paved road with a deep canal on the side of the road and I knew that I was approaching the Pak Kung Au Checkpoint. I would cross another hill through “rock stairs” again and went inside a thickly forested area. Once I got out from the forest, I saw a Lady Marshall (a Pinay) seated beside a paved road waving a blinking signal lights. She said that I still have 4 kilometers more to go before I reach the Aid Station. Finally, I reached the Pak Kung Au Aid Station/Checkpoint and had my bottles refilled with water; ate some slices of orange; and asked for a cup of Coke but they have none. I took in one Sports Gel and continued my run towards the next Checkpoint. This is the section where I practically ran alone on the course and it seemed that the trail was the same as the flat trails that I ran through on the other side of the island. After running on a flat trail for about 3-4 kilometers, it was the start again of a descending “rock stairs” which I thought would lead me again to the beach or bay. 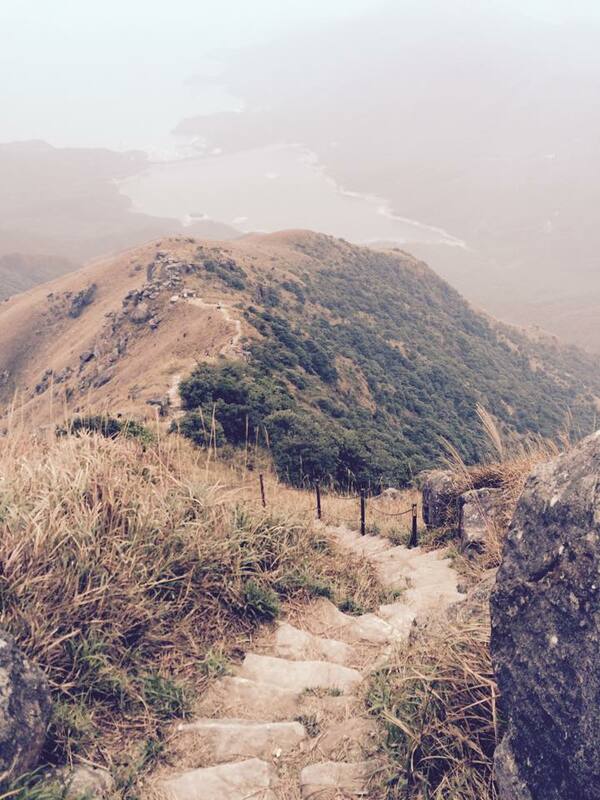 The steps would be dried this time as compared to the descending parts from Lantau Peak. I would see some headlights from a distance in front of me and it gave a boost to run faster but when the terrain changes to uphill climbs, I would continue with my fast walk. After overcoming a short uphill climb, it was all downhill until I reached the Chi Ma Wan Aid Station/Checkpoint. A Timing Marshal got my time of arrival through his electronic gadget and I asked the Marshal what was my place/ranking among the 100K runners. He said that the device could not show my ranking but he gave me some information that more or the runners are still behind. As I approached the Aid Station, I saw a lot of the runners who were already lying on the backs and sleeping inside the Checkpoint Tents and more of the runners were just on the ground resting by sitting or lying. I would estimate that there are almost twenty of them. I tried to sit on a concrete base of an electric post while I ate crackers while drinking an ice cold coke. After I finished two pack of crackers and two servings/cups of Coke, I was on my way to the next Checkpoint. I was so frustrated to find out that I am going up again to a trail with stairs but instead of rocks, it was the ground but with with a “concrete” half-log placed on the outer edge of each step. Sometimes, they are wide-U concrete that is filled with earth where one could step most specially on the descending parts of this route. It was a continuos stairs to a peak of another mountain, Lo Shan Yan, which is 303 meters in elevation or 1,000 feet high. After running and hiking for 83 kilometers, I could already feel the fatigue on my legs and on my body but because of my intake of Sports Gel I would have an instant energy to push my body to a certain distance. As soon as I reached the peak of the mountain, I would see some of the runners that would pass me on my ascent to be lying flat on the grassy ground to have their rest. Silently and without any word, I would pass them and continue with my run and hike on the descending portions of the mountain. Later, I was joined by a group of International Runners (from Malaysia and Singapore) and some of the local runners. They would move so fast by just walking and I would keep up with their pace. Looking at their built and appearance, they are on their early 30s. However, they tend to rest and sleep after walking for some distance and then pursue their fast pace once they resume their hike. At one point, I was in a group of 8 runners and we maintained a very fast hike for about 4-5 kilometers but 4 of them stopped for a rest/sleep until later, I was already alone left walking for the rest of the way. I just kept my composure and did not panic as I walked alone for about 2 kilometers until I reached a junction. I came into a runner who seemed to be lost and could not find any ribbon on the said intersection. I tried to look also for the said reflectorized ribbon but I could see none. In a few seconds, a lone runner came behind us and pointed the right trail to follow and we let him lead the way. I was behind the said runner while the runner I came upon at the intersection was behind me. I found out later that the guy in front of me was a Cantonese and the runner behind me was a Singaporean and we had been meeting each other in every Aid Station where we stopped to eat and have our bottles refilled with water. We came down to a concrete steps as part of an approach to a water reservoir. There was a marker towards a downward direction and the steps was towards an elevated pedestrian bridge that crosses the reservoir. As it was too dark, my headlight could not see the bottom or what is seen below the said elevated bridge. I would assume that the bridge was too high or the reservoir is too deep for us to see the water below. After we crossed the bridge, we were at a lost and argued if the blue ribbon tied in one of the branches beside the road is part of the race markers. The Cantonese guy was trying to explain that we have to cross the mountain in front of us in order to reach the next Checkpoint. The Singapore guy is not sure if the blue ribbon tied on the side of the road is part of the race. What I did was to retrace the markers and crossed the elevated bridge back to the downward steps just to be sure that we are on the right track. The other two guys started to bring out their cellphones to call the Race Director and asked for directions. While they are dialing their phones, I was crossing the bridge back and forth! At the downward steps before the bridge, I saw two ribbons tied on a branch of a tree and they are colored white and blue for each of them. From what I’ve seen, I would be back to the other two guys and explained to them that we are on the right track by following the blue colored ribbon. I argued to them that we are on the right track and just follow the descending road and hope to find out another marker at the end of the road. The three of us walked down the descending road and in about 50 meters, we had a glimpsed of those reflectorized ribbons and directional signs. The Cantonese guy hiked quicker towards the trail while the Singaporean guy sticked to my pace as I was behind them. I guess, this episode of being stalled on the trail delayed us for about 30 minutes. Finally, we reached the Shap Long Aid Station/Checkpoint and at this point, what remains is the last 5 kilometers to the Finish Line. The Cantonese guy was already a kilometer ahead of us. The last 5 kilometers is a paved road with about one meter wide which is rolling and part of the circumferential trail of the island. Ok, there are lots of Buffalo Shits on the road and trail on this portion of the course. The smell of the air is a mixture of the sea air; carabao dung smell; and the smell of victory to have tackled this difficult trail running course! It appeared that the paved trail road is on the slope of a mountain that is near the shore of the island. On the last kilometer, one has to go down to the street level of Mui Wo and pass the commercial center of the village which consists of a McDonald Fastfood; some Restaurants; Bus Terminal, the Ferry Pier, and the main street of the village. After passing a turnabout, just take a Right turn towards the beach and I was on my way to the Silvermine Bay Beach and towards the Finish Line. My official time of finish is 28:50:11 hours and placed #323 out of 403 finishers with 24% or 97 runners to have been declared as DNF. I was smiling when I reached and crossed the Finish Line! 1. My Proper Training Paid A Lot——The three-month training program for this race has a total of 630 miles or 1,008 kilometers where about 90% was done in my playground which I call the “Brown Mountain” and the rest of the 10% was done on the flat grounds of the Philippine Army Grandstand/Parade Ground Jogging Lane. 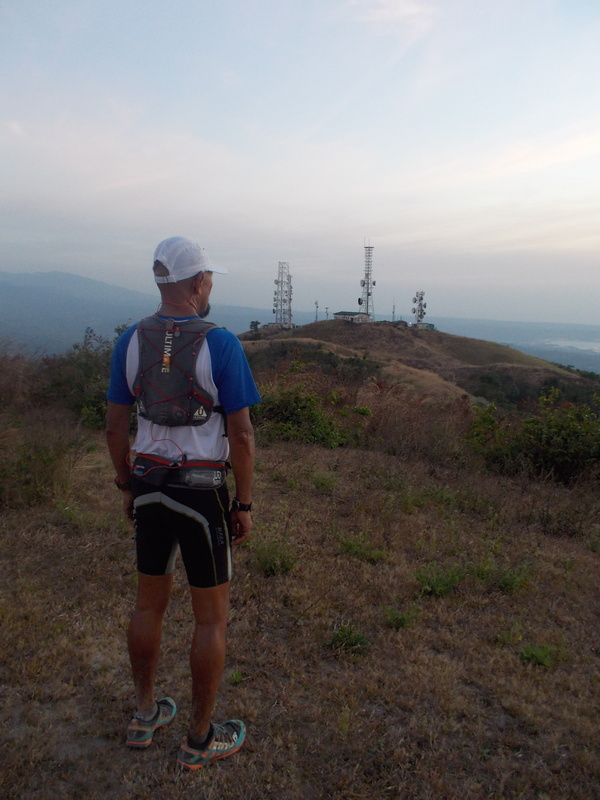 As I described in the earlier part of this post, I concentrated my training on the trails in running to the peak of the Roosevelt National Park in Hermosa, Bataan with an elevation of 1,975 feet or almost 600 meters. This mileage would not include my participation in the 2015 edition of the Condura Skyway Marathon and other hikes to some mountains. If you try to get the average weekly mileage, it would result to 84 kilometers. 2. More Recovery Days During Training——My Mondays were strictly my Rest Days and did not do anything except to do some calf strengthening exercises; leg stand balances (single leg with eyes closed) and “foam rolling” my legs. No other “cross-training” exercises were done on my rest days. My Back2Back runs were always followed with complete rest on the remaining time of the day. While my Back2Back (5X) workouts were followed with a rest the whole following day. 3. Nutrition Is The Key——I have already perfected the pattern on how to use a Full Meal, Vespa Drinks, Solid Foods Available in the Aid Stations, Water and Sports Gel during the race, most specially in 100K distances. Ginger Candies had became my “thirst suppressant” and at the same my anti-acid reflux weapon. I no longer drink any kind of electrolyte drinks like Gatorade, Propel or 100 Plus in my ultra races. At the TransLantau 100, my full meal before the race (2 hours before Gun Start) was a McDonald’s Quarter Pounder Sandwich with French Fries and it was followed with Stinger Waffles and a Power Bar 30 minutes before the start. I took in one Vespa Pack with one Sports Gel with water 15 minutes before Gun Start. This food intake gave me the energy on the first 3-4 hours. From then on, I would take in some food at the Aid Station and made sure that my two Simple Hydration Bottles are refilled with water. I would also take One Sports Gel every hour except when I have to eat a lot of food in the Aid Stations. I got a reserve of GU Roctane Gels (4 pieces) just in case I need them for my last push on the last 10K of the race. 4. Taper Properly——My taper period started two weeks before the race and took advantage of this period for more rest and sleep, more fuel/food to feed my body, and more time looking at the elevation profile of the course/reading the Hongkong Trail Book given by Andre Blumberg and more time to watch movies and stroll in the malls. It was timely that the conduct of the 7th BDM 102 Ultra Race were done during my taper period and I was calm and relaxed during these weeks. My longest run in these two weeks of taper period was 8 miles or 12.8 kilometers! 5. Take It Easy, Stay Relaxed & Have Fun——There is no need to pressure myself with a certain Finish Time goal in this race. My ONLY Goal in this race is to Finish within the cut-off time of 32 hours without any injury or “issues” and would still be smiling once I would be able to cross the finish line. Although I would be cursing silently on those steep ascent portions of the course, I would console myself with the thought that I was passing a lot of the local runners who are half of my age or younger. The “overall” funny part on the race about my performance is when I saw my splits and took notice on my placing/ranking from Checkpoint #1 up to the Finish Line. At Checkpoint #1, I was ranked #420 runner; at Checkpoint #5, I was ranked #362; and at the Finish Line, I was ranked #323. This simply means that my patience resulted in improving my ranking for 102 positions and I would be improving in my standing as the race progresses (or maybe there are more weak and slow runners behind me)!!! 6. Gathered Some Learning Lessons——As an RD in our local ultra races, I was able to learn and pick-up some lessons through my observation on how these international races are being done. It was worth the money, effort and time to join such race if one can pick one or two things which can improve the overall operation of a certain local event. I did not realize that this race has 3 points for UTMB and with another successful finish at the latest Clark-Miyamit 50-Mile Trail Run last November 2014 which has 2 points, and so far, I have earned 5 points already. However, the fact is that I don’t have any intention of going to the UTMB (Chamonix, France) and I have never considered it as part of my ultra’s “bucket list”. But, you may never know! Maybe, I will start saving my money and at the same time look for sponsor-friends who will support me in this endeavor. If I add up my Anteloop 100K “run through” in order to determine its official cut-off time on the last quarter of last year, I would say that I am becoming a stronger and a hardened mountain trail ultra runner despite my age as a Senior Citizen. I would be proud to have accomplished these running events and proved to myself that there is NO limit to one’s endurance and capabilities to tackle a certain challenge as long as there is a proper preparation and training that support it. And for those who are crazy enough to accept the challenge to try and experience what I’ve been doing, my stories and articles in this blog would be a good reference as I try my best to give a “blow by blow” account of the things I’ve done. Blogging about my experiences and the description of the places where I run and join these races is as important as setting the example. This is where I would share my tips and techniques on the things one has to prepare in order to finish any challenging running event. I don’t have any “secrets”; “shortcuts”; or “miracle pills” for me to finish these races. They are all in my stories and it is up for the reader to pick-up what is suited for him or her. They are simple products of hard work, discipline, focus, determination, patience, and simplicity of effort. So, if you have plans of joining this particular race and for one to be exposed in international ultra trail races, you have to simply read my stories and your goal/objective to finish is half-done. As a start, you need to do is to save your money. And the rest will follow. What is next for the Bald Runner? I will be back again to the mountains after two weeks of rest and recovery. My next ultra running adventure is still a secret and it will be coming soon!!! “Australian Vlad Ixel and Santosh Tamang from Nepal traded blows until the brutal bushwhacking climb up to Nei Lek Shan (2km, 500m D+) at around 62km. From here, Vlad pulled away and never looked back, finishing with a blistering 11.6kph final stage, to win comfortably in 13:25:11. 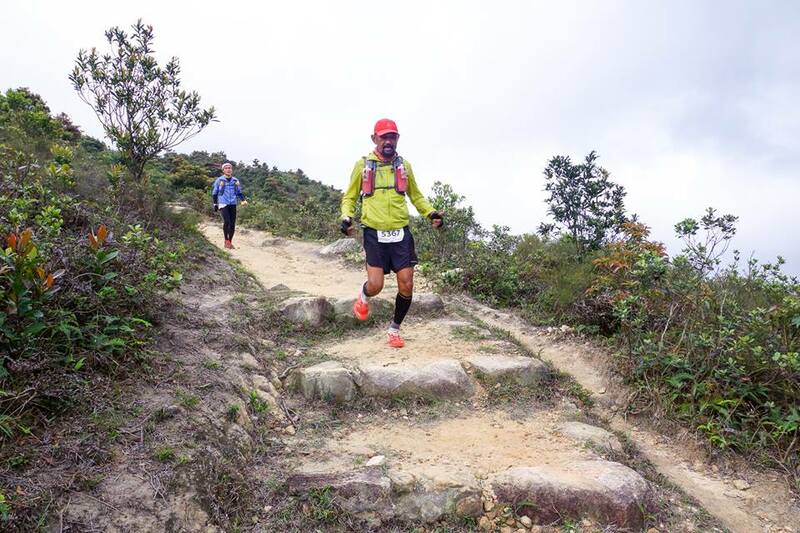 Santosh held onto second place with a brave 14:16:36, and last year’s Lantau Vertical champion Kawai Wong from the Fire Services Department rounded out the podium with a well paced 14:40:07. Special mention goes to Pig Chan and Allen Ng from Asia Trail, who blitzed the Team of 2 event in 15:20:29. In the women’s race, Tor des Geants finisher Lijie Qu of China started slowly but eventually held on for the win in a very respectable 17:47:43, less than five minutes ahead of fast-finishing Australian Joanna Kruk in 17:52:11. Nicole Lau of Cosmoboys finished third in 17:59:29.
International runners dominated the 50km edition (2,600m D+), with ChengDu-based American Justin Andrews taking first in a relatively comfortable 5:42:31. Australian Majell Backhausen prevailed in a sprint finish with local 2XU athlete Ying Tsang in 5:50:44. The women’s champion was Irene Montemayor from the Philippines in 7:44:27, ahead of local runners Olivia Chan in 7:52:49 and Ivy Chung in 7:57:20. I hope you were able to read this post and have enjoyed my story. See you on the trails!